WASHINGTON - President Donald Trump has promised a top Senate Republican that he will support congressional efforts to protect states that have legalized marijuana - defusing a months-long standoff between Sen. Cory Gardner and the administration over Justice Department nominees. But in a phone call late Wednesday, Trump told Gardner that despite the DOJ memo, the marijuana industry in Colorado won’t be targeted, the senator said in a statement Friday. Satisfied, the first-term senator is now backing down from his nominee blockade. Gardner, who heads the campaign operation charged with hanging on to the Republicans’ Senate majority, was irate in January when Sessions revoked guidance from the Obama administration, known as the Cole memo, that had discouraged prosecutors from enforcing federal marijuana laws in states that had legalized the drug. Especially infuriating, from Gardner’s perspective, was that Sessions had pledged during his confirmation process for attorney general that he would leave states that had legalized marijuana alone, according to the senator. The January memo from Sessions stated that prosecutors should use their discretion in weighing whether charges were warranted, rather than abiding by the Obama-era guidance. But Trump has held a sharply different view from Sessions on the issue. 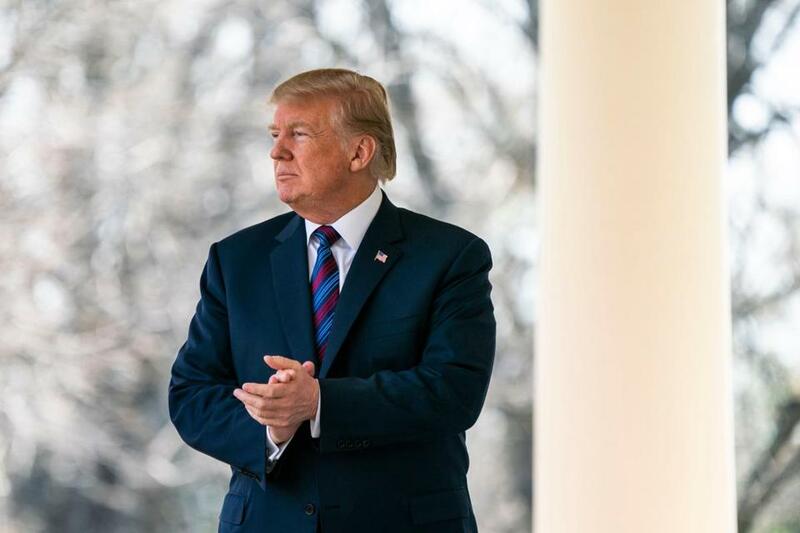 During the presidential campaign, Trump said in an interview with KUSA-TV in Colorado that he said ‘‘it’s up to the states’’ on the marijuana issue. Trump ‘‘does respect Colorado’s right to decide for themselves how to best approach this issue,’’ White House legislative affairs director Marc Short said in an interview Friday. A bill has not been finalized, but Gardner has been talking quietly with other senators about a legislative fix that would, in effect, make clear that the federal government cannot interfere with states that have voted to legalize marijuana. ‘‘My colleagues and I are continuing to work diligently on a bipartisan legislative solution that can pass Congress and head to the President’s desk to deliver on his campaign position,’’ Gardner said. Sens. Orrin Hatch, R-Utah, and Kamala Harris, D-Calif., wrote to Sessions this week, urging him to back off efforts to curtail medical marijuana research at the Drug Enforcement Administration. The Washington Post reported in August that Sessions’ DOJ was effectively hamstringing the agency’s research efforts by making it harder to grow marijuana. Separately, former House Speaker John Boehner, R-Ohio, announced this week that he was joining the board of directors for a cannabis company and engaged in efforts to allow veterans to access marijuana for medicinal use. He has opposed decriminalizing the substance as an elected official.